The Clementi family originally lived in upstate New York, in a small town called Endicott. For the last 21 years, however, they’ve been here in Charlotte. Now meet Dominica Clementi. For over a hundred years, Dominica’s family has been cooking and baking together, passing on recipes with each generation. 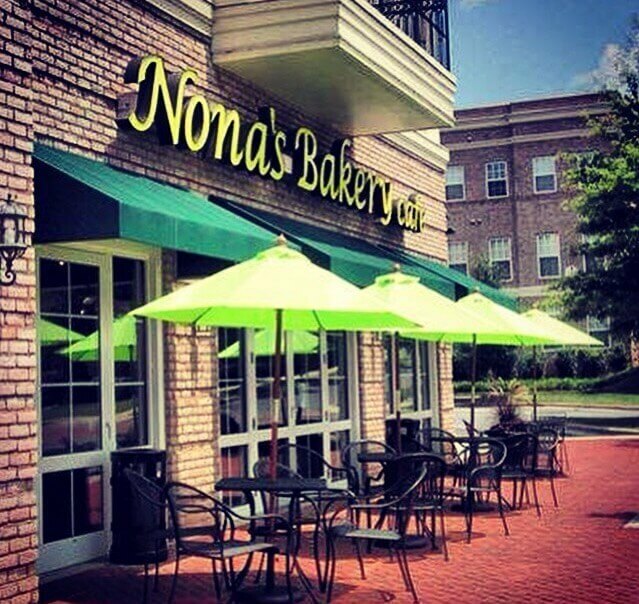 Now, alongside her mother, she co-owns Nona’s Sweets, a bakery café in Charlotte. Keep reading to learn what it’s like to go into business with family and to find out what exactly a “naked” cupcake is! CBRbiz.com: How long have you been baking? 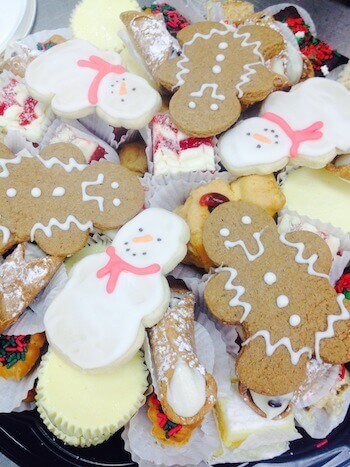 Dominica Clementi (DC): My mom, Nona JoAnn, has been baking as long as she could walk. She helped her mom and Nona in the kitchen all the time. That is how I was also raised–busy hands to fill hungry tummies. Food is a big part of our family and the traditions we grew up with. CBRbiz.com: Can you share with us a favorite memory you have of baking with your own Nona or mother? DC: My mom would always have something in the oven or on the stovetop when we were growing up. The holidays were the busiest time. Then we would gather with aunts and cousins and produce almost like a mini factory assembly line of hands. We would churn out cookies, pies, sweet breads and all would share. We always made enough for neighbors and gifts. CBRbiz.com: Why do you think this kind of tradition is important? DC: It’s amazing to me to see the old recipes on pieces of paper from the recipe box and in my great grandmother’s handwriting. When you make these recipes, that person is there with you, and the family talks and remembers them. It brings you closer, and you enjoy things that were around 100 years ago. It is a wonderful experience, and I am grateful for these memories. It brings you closer, and you enjoy things that were around 100 years ago. CBRbiz.com: You co-own Nona’s Sweets with your own mother. What has the experience of going into business with your mother been like? DC: I come from generations of entrepreneurs. So when we saw there was a need for a bakery, we explored the possibilities. What a joy to think we could do this together, along with my sister-in-law, Anne. She IS my sister and great support; I could not do it without her! We also serve breakfast and lunch in the bakery; that component is called “Papa’s Eats at Nona’s Sweets.” We serve breakfast from 8 a.m. to 11 a.m. and lunch from 11 a.m. to 2 p.m. We use Boar’s Head meats and cheeses for our breakfast and lunch sandwiches and paninis. We make our meals fresh to order; salads and soups are made in house, too. CBRbiz.com: What are some of the best parts? DC: The best part of our business are the people we serve. How incredible it is to know that a little part of our family is at so many celebrations. It is an honor to us. CBRbiz.com: What are some of the challenges, and how do you face them? DC: Oh, we have had challenges for sure. We have fought through illness, relocations, and a bad economy. We trust in God and know He has a plan, and in His time it all works out. We are a tenacious bunch of Italian ladies. It may not be the outcome we thought, but it is the right one. We are very positive people, and when an obstacle comes up, we push through. We are a tenacious bunch of Italian ladies. CBRbiz.com: What are a few of the biggest lessons you’ve learned about owning a bakery? DC: That you cannot do it all, so you must surround yourself with people who love your business as much as you do. Your team has to be passionate about what they do everyday. We are blessed to have such a wonderful team as part our Nona’s family. Your team has to be passionate about what they do everyday. CBRbiz.com: If you could go back and give yourself one piece of advice, what would it be? DC: You cannot be all things to all people. Find your niche and what makes your business work, and focus on that. CBRbiz.com: What types of baked goods and services do you offer? 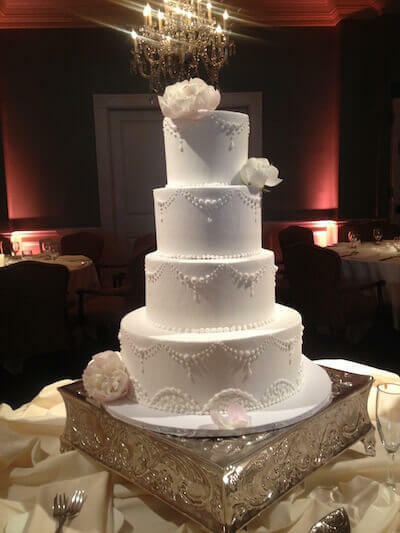 DC: We offer custom cakes, cupcakes, wedding cakes, cookies and desserts, specializing in Italian pastries and treats. 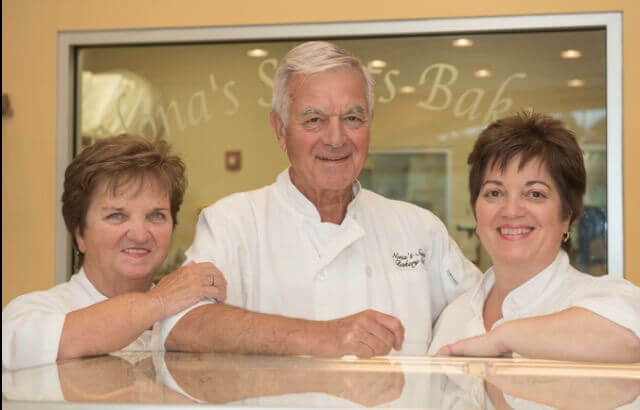 CBRbiz.com: Nona’s Sweets has been featured in a variety of publications. Can you share a few of these accomplishments with our readers? DC: What an honor to have been featured in a variety of media outlets, both in print, radio and TV. We have been on WeTV’s Platinum Weddings, when we served Carolina Panther Thomas Davis and his wife Kelly. Recently we filmed an episode for TLC’s “Married By Mom And Dad.” It will air this fall. CBRbiz.com: What did receiving this recognition feel like? DC: It is a great experience to see our hard work being recognized, but also receiving daily rewards of a big smile from our regular and loyal customers really makes what we do each day so worth it! It is a great experience to see our hard work being recognized. CBRbiz.com: How do you source your recipes? Have any of the recipes changed over the years (either with each new batch or each new generation)? DC: We make our goodies in house, and one early “Aha!” moment was realizing we had to bulk up the ingredients. So if the original recipe made two dozen cookies, that would sell out too fast, and we needed to make six dozen for the day. CBRbiz.com: Which local business resources have helped you the most? DC: The Small Business Administration. 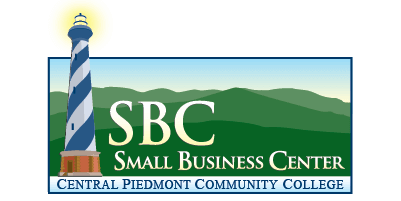 CBRbiz.com:In your industry specifically, how do you think Charlotte’s local business climate differs to that of other locations? DC: I think Charlotte is thriving; it continues to grow at a fast pace. The key is to listen to what your customers want and change accordingly. That is how we started the café component of the bakery; people were asking for sandwiches and so we said, Sure, let’s do it. The key is to listen to what your customers want and change accordingly. 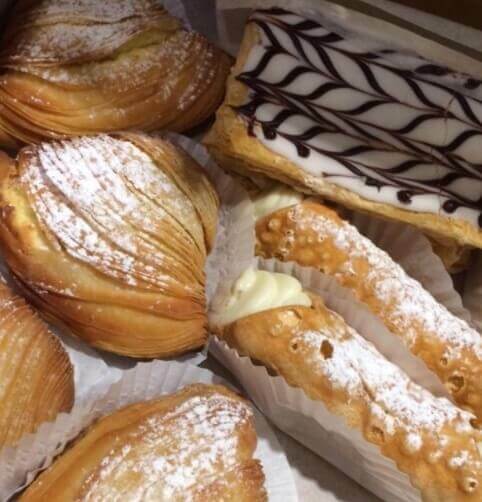 CBRbiz.com: If we were to come to Nona’s Sweets today, what should we order? DC: Start off with some lunch and move into our cupcake “naked” bar. 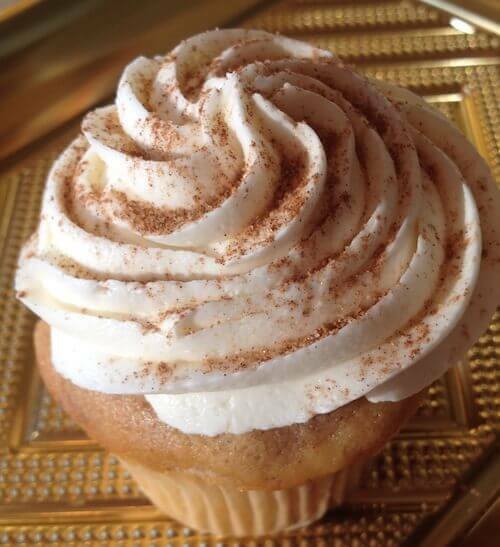 We offer nine flavors of cupcakes and they are “naked” then you choose your buttercream and we “dress” it for you. You can’t go wrong with a delicious cupcakes that you create to your liking. CBRbiz.com: What is the most important thing about you/Nona’s Sweets that you want people to know? DC: We appreciate all of the support from our loyal customers over the years. We love to do small intimate events as well as large, so think of us for your next event. 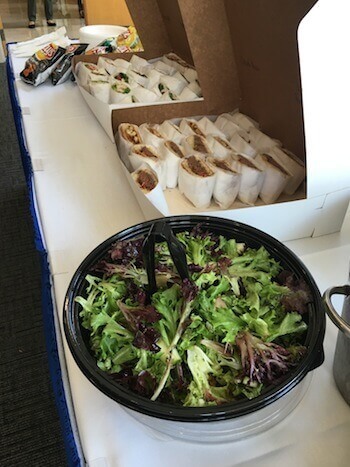 We also cater–individual boxed breakfast or lunch, as well as catering trays. Give us a call for your next business breakfast or lunch, and taste the fresh difference. Thank you, Dominica. We cannot wait to try everything pictured, starting with the naked cupcake bar! 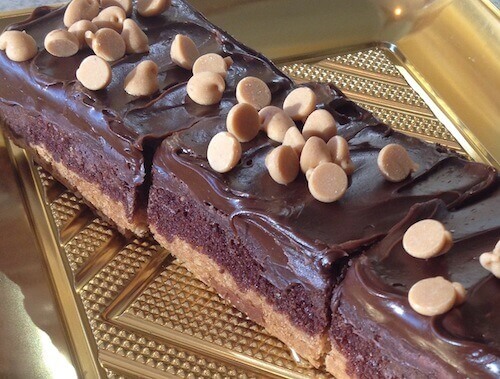 To learn more about Nona’s Sweets Bakery Café, be sure to follow them on Facebook and Twitter @nonassweets.